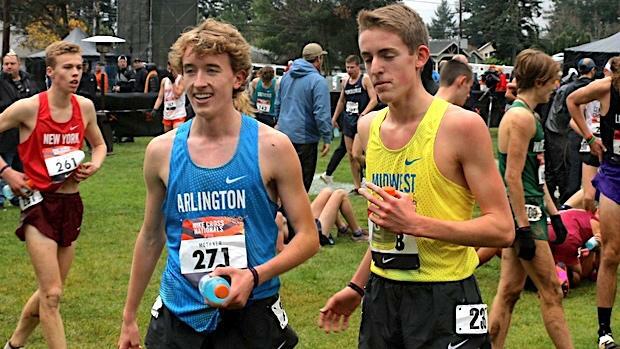 Josh Methner didn't have the greatest of starts at Nike Cross Nationals on December 1. The Hersey (IL) High School junior slipped at the sound of the gun and had his hands on his knees momentarily, which is all it took for the field to rush by. As he looked ahead, nearly two thirds of the field was already past him. "It was a bad start," he said. But here's where the resiliency of a sometimes overlooked, national-caliber athlete from Illinois came into play just minutes later. He worked his way up through the left side of the course in Portland, Oregon, the next few minutes, then criss-crossed his way to the right side just after the 1K mark, then made the race's first big move just after the mile mark, finally putting an end to a conservative start. "I felt good," he said. "I didn't feel like I exerted too much energy getting back there, so I went for the lead and picked up the pace. I wanted to burn out as many kids as I could at that stage. "Looking at that move now, I think I wanted to drop some kids," he added. That Methner likely did, and by the end of his first national race, the Illinois kid who had raced up the national charts late in the season finished with his first All-American honor in 15th place at NXN. Next up, Foot Locker Nationals on December 8 in San Diego. "As long as I get a good start this time, and if I hang on to the leaders and make a move when it feels right, I think I will be good," he said. It happens every season. We see a junior rise through the national ranks to make a statement in the cross country season's biggest moment, and he solidifies himself as one of the best runners in the country. Methner, who wasn't even nationally ranked until the week before NXN on Nov. 20, is doing that right now. He was the runner-up at NXR Midwest, was seventh at Foot Locker Midwest, won his first state championship this season and set career best times in both the three mile and 5K distances. The signs had been there over the last two seasons. He had finished 30th at state as a freshman, then improved to seventh as a sophomore before following with a seventh-place finish at NXR Midwest in 2017. But it wasn't until the following spring, when Methner put down a 9:06.88 effort in the 3200m as a sophomore, finishing fourth in the state, when he started to realize he could do big things in his junior season. "I had a lot of confidence going into cross country," he said. "And in those early meets, I learned how to race tactically depending on who was in the race. I learned how to win races." Methner didn't lose in Illinois from September 15 on through the state championships. He ran six consecutive races at three miles under 15 minutes and set a career best at Detweiller Park during the Class 3A Championships in 14:11.50. More important, however, was the school record he broke in the process. Methner surpassed a former inspiration of his, Kevin Havel, whose former record at the school was 14:12. "It was a happy experience," Methner said. Confidence is a funny thing. It can waver, and it can ebb and flow. But Methner always believed he stood a chance in big races. He knew, after racing much of his competition in Illinois--athletes like Tommy Brady and Thomas Shilgalis-- when and how he could challenge them in key moments, and he used that institutional knowledge to fuel him. He made a decisive move at state after the 2-mile mark, banking on his closing speed, and said, "I tried to wear him out and push the pace more than he would have liked." 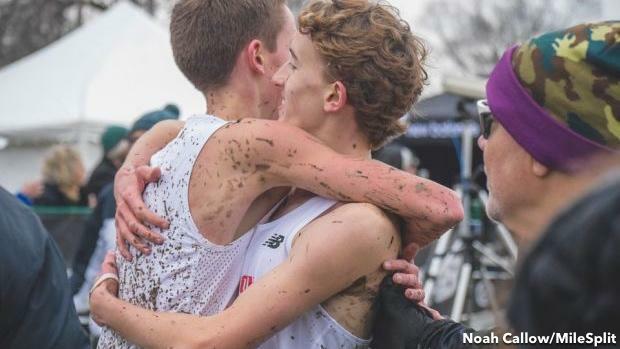 While Methner didn't have as much of that know-how heading into NXR Midwest--for example, he hadn't raced Cole Hocker once, so he didn't quite know what the Indiana athlete would bring--that didn't deter him from making moves. He said he and Hocker went back-and-forth in the last mile, before Hocker came through in 15:06.4. Methner was second in 15:12.1. At Foot Locker Midwest, Methner made a statement by finishing in the top 10 and becoming just a handful of athletes across the country to qualify for both national races. In truth, Methner's ability to make early moves with confidence is what's starting to set him apart. "When approaching a race, it's the competition that determines how I'll race," he said. "I figure out how I want to take it out." So what exactly can Methner do at Foot Locker Nationals? Each race differs from the last, but if using Sandburg graduate Dylan Jacobs as an example--Jacobs won last year's Foot Locker race after finishing 13th at NXN, and used the mistakes of NXN to fuel his race plan--there's a chance Methner could be in contention for the title in the last 800 meters if he plays his cards right. "Before this season, my goals were just to qualify," Methner said. "I wasn't even thinking about All-American. Then I realized how much progress I made." Translation being: Anything can happen on December 8.